The old proverb of “walk a mile in their shoes” applies to selling springs, shocks and struts. Your typical customer is not like you — their point of view is completely different. You have to understand what they know and what they value. You also need the patience to educate them on the importance of these critical automotive components. Drivers are ignorant: Years ago, shocks were some of the most commonly replaced components. Replacement could make a big difference on heavy cars with leaf springs. Most of today’s drivers under 30 years of age don’t even realize that they have shocks or struts on their vehicle. This is why they give you those blank looks when you start rambling on about speed-sensitive dampening and yaw. Your job is to educate them if you are going to sell to them. They don’t know how to talk about their shocks and struts: A customer doesn’t know about rebound, compression, or gas-charged, twin-tubed shocks. What they do know is losing control of their car and how it feels. Your job is to ask questions and educate them about what new shocks and struts can do for them. Some customers may think a suspension problem is a brake problem. They use the internet: This can be a strength rather than a weakness. A customer can research shock and strut replacement from their smartphone in your waiting room. The most common “search phrase” used by consumers when researching shocks and struts, according to Google Keywords, returns results that are positive and filled with information telling them the benefits of shock and strut replacement. You can feel good if they do their own research online; it will back you up. They do not know the benefits of shocks and struts: The customer may think that new shocks and struts will make their vehicle ride better. The truth is that new shocks and struts can do a whole lot more. New springs, shocks and struts can make a vehicle corner and brake like when it was new. This can give them extra stopping distance and more confidence in emergency situations. Selling a worst-case scenario can be a tough sell, compared to selling them on a comfortable ride. If this makes you uncomfortable, you need to remind yourself that a customer is concerned with safety, just as much as price. 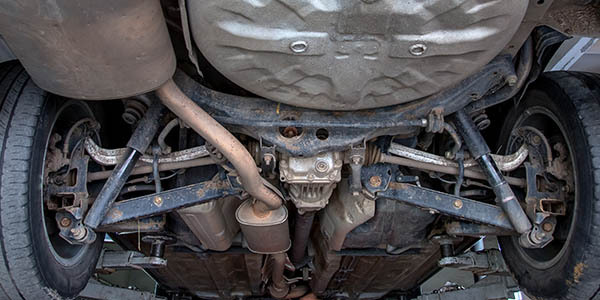 Poor inspections have made them skeptical: Some drivers assume that if they take their car to a quick lube, the man in the pit will inspect their shocks and struts. Not true. 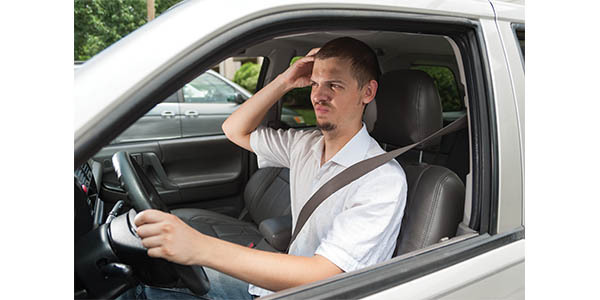 Testing a vehicle’s ride control requires a test drive, and they can’t do this if the driver never leaves the driver’s seat during an oil change. Some general repair shops also do a subpar job of inspecting shocks and struts. Some shops will never check them, but say it’s part of a multi-point inspection. If you are a second opinion, chances are you will be fighting an uphill battle — but don’t give up. Estimates have shown that 50% of ride control sales occur on the second visit. This means that a large percentage of first-time sales pitches for ride control are followed by, “Sorry, no thank you.” But, the customer eventually comes back. 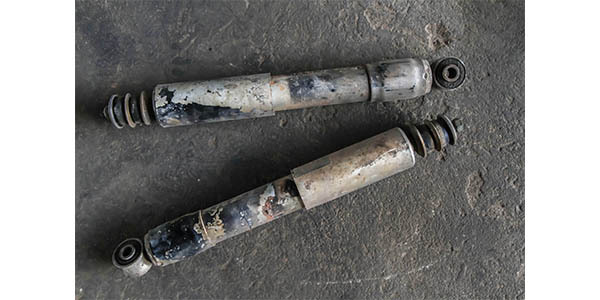 Customers are desensitized to bad springs, shocks and struts: Over 50,000 miles, the dampening capabilities of a shock or strut will degrade to the point where it can impact ride and handling, but the driver doesn’t notice because it happens gradually. Noise and body lean are a normal part of their driving experience, but your fresh perspective can reveal just how bad their shocks and struts have become. This is why a test drive is critical to the inspection process. They get low-balled: Chances are your customers want the best. Starting the estimate with the least expensive alternative can lower your profit. Quoting the lowest price might get some customers in the door, but many customers will want more. An effective sales tactic when selling ride control is to start with premium products first, rather than with the economy or less-expensive option. This can give you a little wiggle room to provide your customers with options that meet their budget and vehicle life expectancy. Some customers don’t drive far enough to experience how badly their shocks and struts have degraded: Shocks are filled mostly with oil that can have different weights. When the oil heats up, it can affect the rate of flow through the valving as it either thins out or becomes more viscous. Some shock manufacturers also use multi-weight oils that work like motor oils. When the oil is cold, it may flow like 15-weight oil, but as the oil heats up, it could flow like a 20-weight. Some shocks and struts could take awhile to fade and for the fluid inside to foam up, and this might occur only when they take the car on a long trip. They are afraid of repairing their air ride system: Repairing an air ride suspension at a new car dealer can be pricey. Many consumers have been quoted $3,000 to $5,000 to fix a leaky air suspension at a dealership. There are also horror stories on the internet about dealers chasing a problem at the customer’s expense. This is a great opportunity for independent shops. Unlike dealers, you don’t have to use dealership parts. 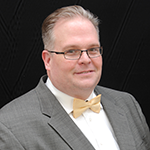 You can match aftermarket alternatives to the customer’s budget. Aftermarket suppliers offer remanufactured struts and shocks at a fraction of the price of dealership parts. Some ride control manufacturers also offer conversion kits to convert the vehicle over to conventional springs.